Welcome to the Funny Signs Blog - your source of amusing signs collected from around the world, good for a laugh. 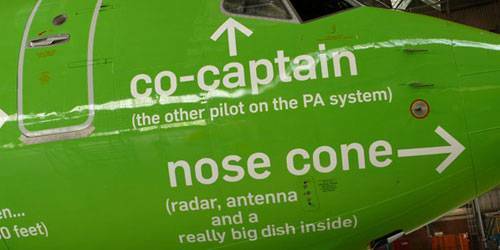 Have a look at their fantastic new jet aircraft, covered from nose to tail in amusing signs. 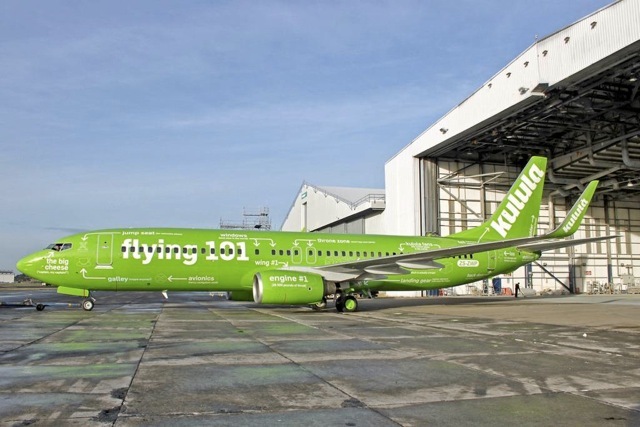 It is a shame that Kulula doesn't fly any international routes, so not very many of us will see this aircraft. 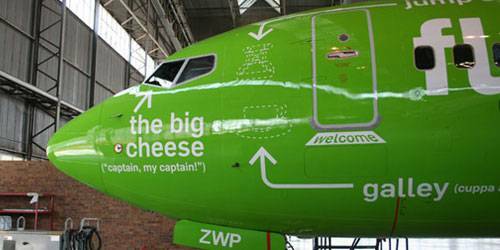 But if you live or are visiting SA then show your support to an airline with a good sense of humour. 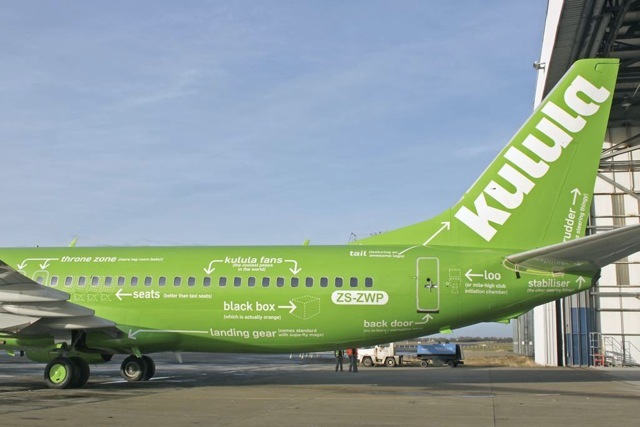 On a Kulula flight, (there is no assigned seating, you just sit where you want) passengers were apparently having a hard time choosing, when a flight attendant announced, "People, people, we're not picking out furniture here, find a seat and get in it!" As the plane landed and was coming to a stop at Durban Airport, a lone voice came over the loudspeaker: "Whoa, big fella. WHOA!" After a particularly rough landing during thunderstorms in the Karoo, a flight attendant on a flight announced, "Please take care when opening the overhead compartments because, after a landing like that,sure as hell everything has shifted." 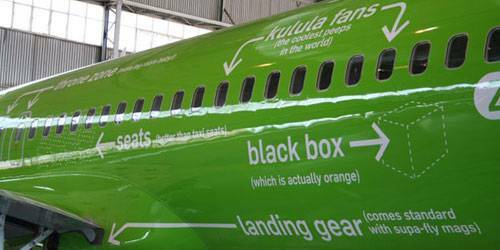 From a Kulula employee: " Welcome aboard Kulula 271 to Port Elizabeth. To operate your seat belt, insert the metal tab into the buckle, and pull tight. It works just like every other seat belt; and, if you don't know how to operate one, you probably shouldn't be out in public unsupervised." "In the event of a sudden loss of cabin pressure, masks will descend from the ceiling. Stop screaming, grab the mask, and pull it over your face. If you have a small child travelling with you, secure your mask before assisting with theirs. 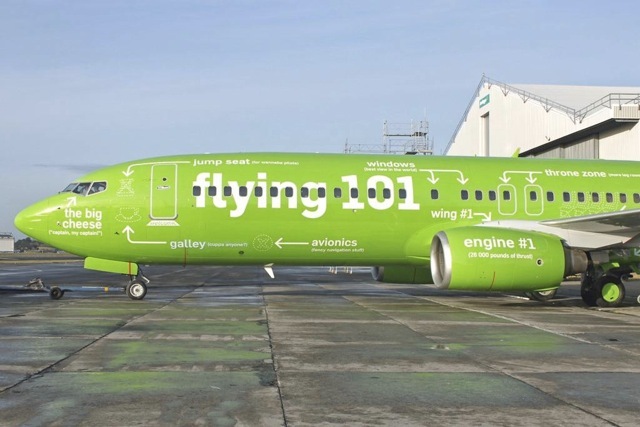 If you are travelling with more than one small child, pick your favourite.."
Heard on Kulula 255 just after a very hard landing in Cape Town: The flight attendant came on the intercom and said, "That was quite a bump and I know what y'all are thinking. I'm here to tell you it wasn't the airline's fault, it wasn't the pilot's fault, it wasn't the flight attendant's fault, it was the asphalt." An airline pilot wrote that on this particular flight he had hammered his ship into the runway really hard. The airline had a policy which required the first officer to stand at the door while the passengers exited, smile, and give them a "Thanks for flying our airline”. 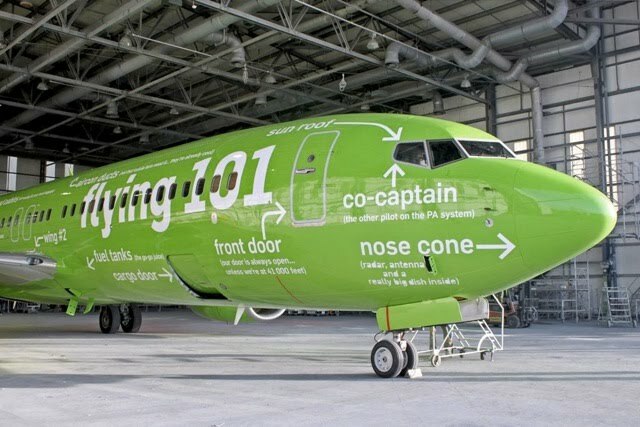 He said that, in light of his bad landing, he had a hard time looking the passengers in the eye, thinking that someone would have a smart comment. Finally everyone had gotten off except for a little old lady walking with a cane. She said, "Sir, do you mind if I ask you a question?" Why, no Ma'am," said the pilot. "What is it?" The little old lady said, "Did we land, or were we shot down?" After a real crusher of a landing in Johannesburg, the attendant came on with, "Ladies and Gentlemen, please remain in your seats until Captain Crash and the Crew have brought the aircraft to a screeching halt against the gate. And, once the tire smoke has cleared and the warning bells are silenced, we will open the door and you can pick your way through the wreckage to the terminal." A plane was taking off from Durban Airport. After it reached a comfortable cruising altitude, the captain made an announcement over the intercom, "Ladies and gentlemen, this is your captain speaking.Welcome to Flight Number 293, non-stop from Durban to Cape Town, The weather ahead is good and, therefore, we should have a smooth and uneventful flight. Now sit back and relax... OH, MY GOODNESS!" Silence followed, and after a few minutes, the captain came back on the intercom and said, "Ladies and Gentlemen, I am so sorry if I scared you earlier. While I was talking to you, the flight attendant accidentally spilled a cup of hot coffee in my lap. You should see the front of my pants!" Apassenger then yelled, "That's nothing. You should see the back of mine!"